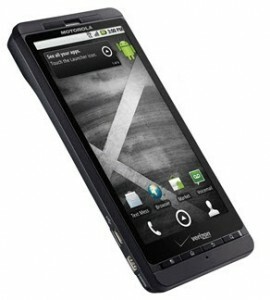 Verizon Wireless in US and Motorola announced the upcoming availability of Droid X smartphone. The new Droid X be the successor of Motorola Droid (Also Milestone outside US) which is currently one of the most popular handsets of Verizon. Based on Android OS 2.1, the Droid X joins the league of HTC HD2 and HTC EVO 4G in terms of its screen size. The 4.3 inch capacitive touch screen of Droid X has 854 x 480 resolution and a new improved version of MotoBlur UI. Equipped with a 8 MP snapper, the Droid X records HD videos at 720p and has an HDMI output. Verizon has announced a very competitive price plan and iPhone 4 like upgrade option for all potential customers of Droid X.
Motorola calls Droid X as a pocket sized home theater. The 8MP camera with dual LED flash, HDMI output and crystal clear 4.3 inch capacitive display makes this true. Similar to HTC HD2, and EVO 4G, the Motorola Droid X has a very effective screen management. The size of buttons and controls and reduced to improve available screen size. The Droid X doesn’t have QWERTY keypad found in original Motorola Droid. So it is much thinner and easy to carry along. The Swype enabled virtual keypad supports typing 50m words* per minute. Things would go perfectly with the help of Texas Instruments OMAP™ 3 1GHZ processor with inbuilt POWERVR SGX graphics core. The full HTML web browser of Droid X will have multi-touch support, and it allows up to 8 browsing tabs at the same time. Motorola Droid X will not have Android 2.2 on its lunch. However, it will get the update though “OTA” along with Flash 10.1 in this summer. Droid X uses custom Motorola Interface called MotoBlur. MotoBlur implements the push enabled social media widgets, mail, weather, all on the home screen of Droid X. The new MotoBlur UI supports 7 home screens, streaming widgets and will provide a single quick access to the data notification panel. This dual band CDMA phone supports high speed 3G networks of Verizon wireless, and it can act as a mobile hotspot if required. Other features of Motorola Droid X include pre-installed 8 GB on board, 16 GB microSD ( expandable up to 32GB) memory, set of free Verizon and Google apps, A-GPS, Bluetooth with A2DP, long lasting 1540 mAh battery, etc. 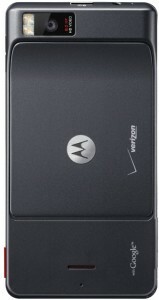 Motorola Droid X will be available for purchase from 15-07-2010 on Verizon wireless stores and official website. The price of Droid X is confirmed as 199$, after $100 rebate and two year contract. Existing Verizon customers with contract expiration in 2010 can also upgrade to Droid X by paying $199. Mobile hotspot service costs $ 20 extra with the 2GB limit. We hope that Motorola would launch GSM version of the Droid X in European counties in India as yet another Milestone. That phone looks sick, not something I could carry but still awesome looking. The the DROID 2, Verizon knows what’s up.